A national lottery chooses the completely average Makoto Naegi to attend the highly prestigious Hope’s Peak Academy. A school intended only for the best of the best with absolutely no room for anyone or anything remotely ordinary. However not long after arriving on his first day Makoto and his new classmates are thrust head first into a game that will have them fighting desperately for their lives. When faced with the ultimate despair DanganRonpa asks just how far are these students willing to go to keep hope alive. After discovering that they’ve become trapped inside the walls of Hope’s Peak Academy the fifteen students soon meet their new headmaster – a half-white, half-black robot bear named Monokuma. With a short orientation in the gym Monokuma sets the stage for the game these students are all about to play. All fifteen students will live within the school’s walls for the rest of their days unless they are willing to betray another. If a student is able to commit murder and get away with the crime they are free to leave and all other students will be sentenced to death. However if the guilty party is caught, provided enough evidence exists to convict them, they will face the ultimate punishment. With a few simple guidelines set Monokuma leaves the students to face the harsh reality of their situation. Can everyone agree to stay peaceful or will someone crack? Your fellow classmates consist of students who possess an ultimate skill in one specific area. For instance you have the ultimate writer, the ultimate programmer, the ultimate baseball star, the ultimate swimmer, the ultimate fashionista and many others. Each of the characters in DanganRonpa fit into pretty specific archetypes which, at first, might make you feel like you’ve seen this all before. It’s something that many movies or TV shows know to poke fun at. In every situation like this there are characters that die first as well as various other plot points that you just expect to happen because it always happens that way; but Hope’s Peak Academy is anything but ordinary and what you’ll soon find is that any expectation you might have about the characters or the game’s story are quickly put to rest. Something I found throughout the game is that numerous times what I expected to happen did not happen but instead the truth usually turned out quite different. Gifts are earned at the school shop using Monocoins which are found by searching various places throughout the school and performing well in the class trials. These can be inserted into a capsule vending machine which will give you a random new gift. The more gifts you receive the higher the chance you’ll get a duplicate. You can then lower that chance by inserting more Monocoins. Gifts can be given to other classmates to help build friendships. Gameplay is split between Daily Life, Deadly Life, and the Class Trial. Each chapter follows a similar timeline of events in which you’ll explore the school, discover a new murder, search for clues, and ultimately present your case in an attempt to convict the true culprit. Daily Life presents the students with an opportunity to explore the school, spend time together, look for an escape, and ultimately discover the true meaning behind the killing games. Sometimes you’ll follow a linear progression of events in which you’ll follow a set path throughout different rooms in the school as you uncover new information about Monokuma and the true mastermind. In other instances you are given free time to do whatever you’d like within the rules of the game. Daily Life comes to an end once a murder has been committed and the body found. Early on DanganRonpa makes a point to demonstrate that anything can happen and that no one is safe. This is a game that absolutely pulls no punches and it’s something you’ll need to get used to early. As you get to know characters and those relationships build the discovery of a new body becomes more and more dreadful. I dreaded discovering a new victim more and more as the story progressed because I didn’t want to face the reality of the situation. These weren’t just characters in a story but they were my classmates that I’d grown close to. They were people I’d never spend time with again and they didn’t deserve to be betrayed by one of our own. It speaks to the strength of the writing and of the localization that I genuinely felt attached to these characters and was upset when I found someone killed. After a body is discovered the remaining students are given time to search the school and talk among themselves in order to piece together the crime and try to determine who the culprit behind the murder truly is. You’ll do this by searching various rooms, inspecting the crime scene, and talking to other students. You’re also given a Monokuma Case File that will give you details on the time of murder, type of weapon used, and a few other things depending on the case. Most of the clues you’ll find fall in line with what you’d expect. Typically there are things in the area of the crime that might point to certain events that transpired before, during, or after the crime took place. Sometimes there are things that might seem normal but upon closer inspection are actually major clues as to what the truth is. On top of that you’ll have to figure out what time the murder took place if it’s not provided in the case file as well as where everyone was at that time. I often found myself writing down notes and stopping to think with each clue I found. As the search progressed I enjoyed how the image in my mind became clearer and clearer as to how I imagined the crime went down. Of course I rarely had everything right as the game is really good about always having a surprise up its sleeve. More than just trying to solve a murder you’re also at risk of death if you can’t determine what really happened. Characters will try to help or deceive you in any way that might benefit them-self. More often than not a character or the game will lead you to believe one thing when in reality a certain piece of evidence might change everything you thought you knew about the crime. Early cases start out pretty simple but as the game progresses you’re required to really think about everything you know. You have to take note of every possibility even if some don’t seem likely. At the end of the day your life is on the line so if you screw up it’s over. Before a Class Trial begins you can equip certain skills that you’ve learned by spending time with friends. 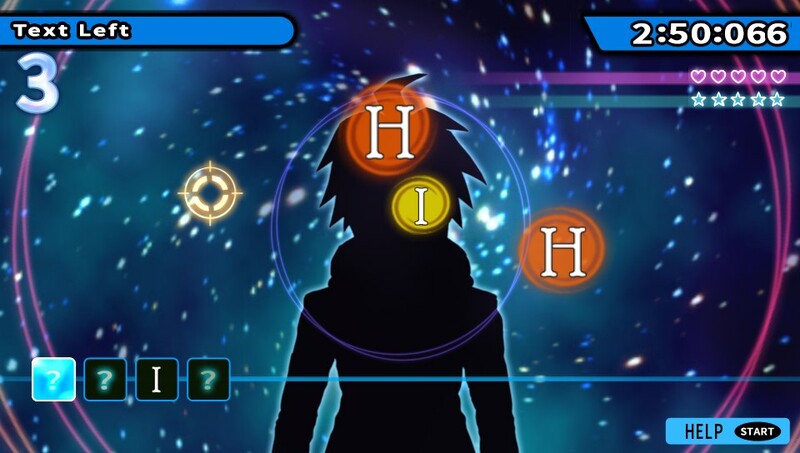 These skills take up SP (which can also be increased by spending time with others) and will help in various areas of the class trial. For instance one skill decreases the drift of your cross hair while another increases the time limit you have during each phase of the trial. Chapters culminate in the class trial. Over the course of one to two hours you’ll stand among your classmates and put forth every piece of evidence you’ve found in hopes of discovering not only “whodunnit” but also the how and why behind the crime. Of course you don’t have much of a choice because once the trial ends you’ll have to vote and hopefully, for the sake of everyone, you’ll choose the real culprit. Due to an embargo I can’t speak specifics about anything beyond chapter one and I’d like to do my best to not go into much detail regarding that chapter either. (This whole game is its story so I’d like to not spoil anyone’s experience with the game.) Going into each class trial I typically had a general idea of who the culprit was as well as how the crime was committed. Sometime that idea wasn’t as fleshed out as I’d like but I usually walked into the court room feeling confident in my findings. Throughout the course of each and every case however my idea of how things happened would quickly change as new evidence would come to light. Even after I’d found the evidence to point me in a direction that felt as if it had to be right the game would pull the rug out from under me as if to remind me that things are never as they seem. This never felt cheap either. Every twist and turn this game takes (and there’s a lot) is earned and when you look back on the whole game it all makes perfect logical sense. Class Trials contain the most “game” within DanganRonpa. There are various mini-games you’ll interact with as the trial progresses and more evidence is presented. Sometimes the students will go around recounting what is known about the murder. As this happens their words appear in front of them in white lettering with key points in the story highlighted in orange text. In these moments you’ll need to look for inconsistencies in what one person is saying and, as is the name of the game (DanganRonpa means something to the effect of winning an argument with a bullet), fire a truth bullet that proves the inconsistency wrong. It’s up to you to determine what’s false as well as which truth bullet you’ll need to use as proof. One minor nitpick about the game I have is that there are times that it’s unclear what truth bullet I needed to use was. Usually I knew the point I needed to prove but due to the time limit and the speed that the words move I’d want to react quickly instead of taking my time to think things through. Sometimes the connections I needed to make just weren’t clear and it was a little frustrating because I knew exactly what the proof I needed was. When you make a mistake you’ll lose health and once you lose all of your hearts the game is over and you’ll be voted culprit. Luckily the game is very forgiving and even if you fail you’ll start exactly where you were with full health. The Hangman’s Gambit occurs in situations where you might need to come up with a word or phrase that will help prove a point that you need to make. Here you’ll need to fill in the missing letters by shooting them down as they appear. Bullet Talk Battle is a rhythm game in which one character will absolutely refuse to accept anything that you say. In this case you’ll need to tap buttons to a beat that fluctuates in order to shoot down everything they say and ultimately deliver a final truth bullet to convince them of your point. Class trials tend to have a lot of back and forth and, as mentioned before, take a long time to get through. However the length is something that I really enjoy. The deliberations don’t feel rushed (even with the time limit in some of the mini-games) and by the end of it I really feel like we’ve all accomplished something by working together. Watching as the story slowly pieces itself together as more evidence and viewpoints are shared is really rewarding. Not only that but by the end the cloudy image you have of the crime at the beginning of the trial suddenly is very clear and more importantly makes perfect sense. You might be able to guess the killer going in to some trials but the real mystery is much more about solving the entire case and that includes how the killer pulled off the crime. Class Trials end as you piece together the entire events of the murder in the form of a comic book. This leads to the conviction of the culprit and their own ultimate punishment. From there the timeline of events come full circle and you’re forced to continue playing this killing game. Where DanganRonpa goes however is in directions you likely won’t predict. The clues are there but to piece them together will require a view of the entire picture and that’s not something that this game will give up easily. 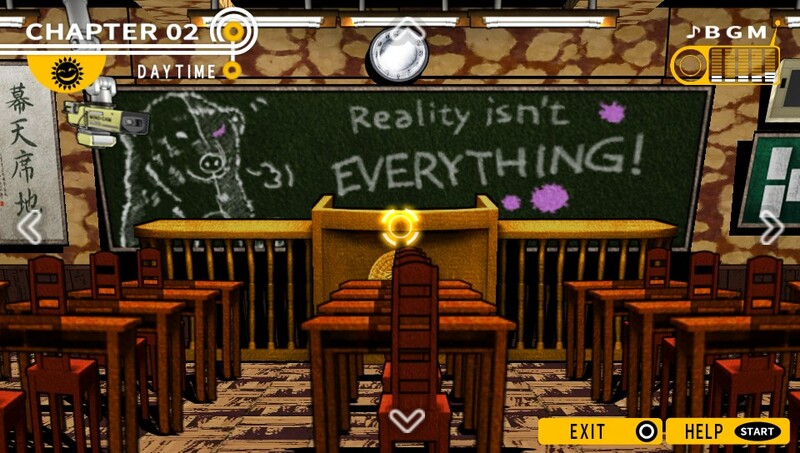 A new mode to the Vita version of DanganRonpa is School Life. 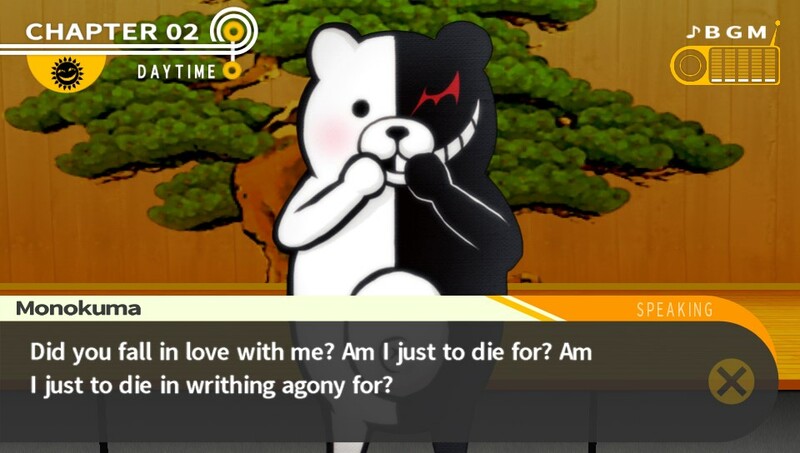 In this alternate storyline there’s no killing game and Monokuma is just a regular old robot bear headmaster. Instead you’re given 50 days to build Monokuma a supply of replacement bears as well as ample opportunity to hang out with other classmates and build relationships. Essentially this mode takes out the murder mystery aspect and just lets you build relationships with each character. 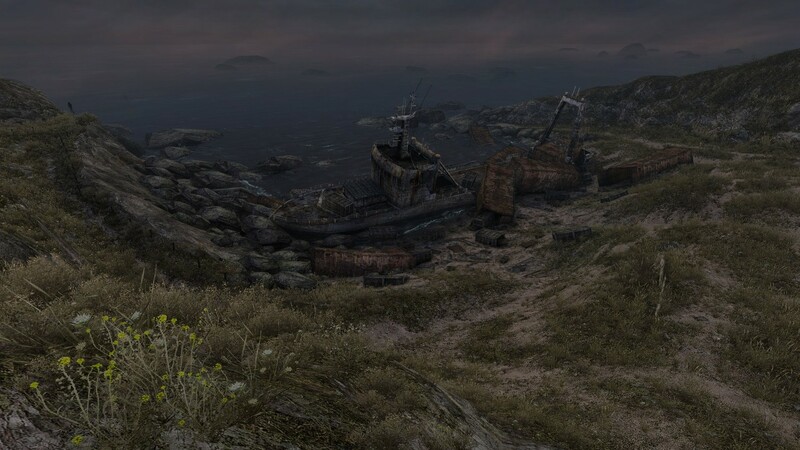 This is unlocked after you finish the game for the first time and serves to be a pretty neat little diversion. DanganRonpa’s 20-30 hour story line took me through more twists and turns than I could keep track of and always managed to keep me guessing. Even up until the final hours there were things that I still didn’t know. The way it all unfolds and your influence on these facts coming to life is where I found this game to reap it’s ultimate reward. Witnessing the world’s best students fight against despair and face the harsh realities and themes that this game tackles was, in some ways, eye opening. Not only that but DanganRonpa, much like Corpse Party and Virtue’s Last Reward before it, continues to drag me into a style of game I never thought I’d be into. In fact these kinds of games are starting to become a personal favorite of mine in a big way. Zero Escape and DanganRonpa in particular have their similarities and while they’re very different for a number of reasons I think they both speak to the same fan base. Chances are if you liked Zero Escape you already know about DanganRonpa and are planning on picking it up next week. However if you’re not familiar with either game and are willing to try new things I’d urge you to give DanganRonpa a shot. It’s just a fantastic game and manages to tell a very interesting story while still being surprising. Everything from the characters, to the music, to the localization is so top notch that it’s incredibly difficult not to become invested in this game from start to finish. It’ll keep you on your toes the entire way through and completely satisfied once the credits finally roll. I’ve loved every minute with DanganRonpa: Trigger Happy Havoc and, now that this game is finally localized, I certainly hope that we’ll see the sequel to this game get localized as well. Daily/Deadly life and the Class trials feel cohesive; great pacing. Twists that make me shout "WHAT!?" a bit too loud.